As part of their ongoing commitment to providing the most comprehensive and elite quality service package in the industry, Ultraframe has updated its flagship retail brochure, the Conservatory Directory. 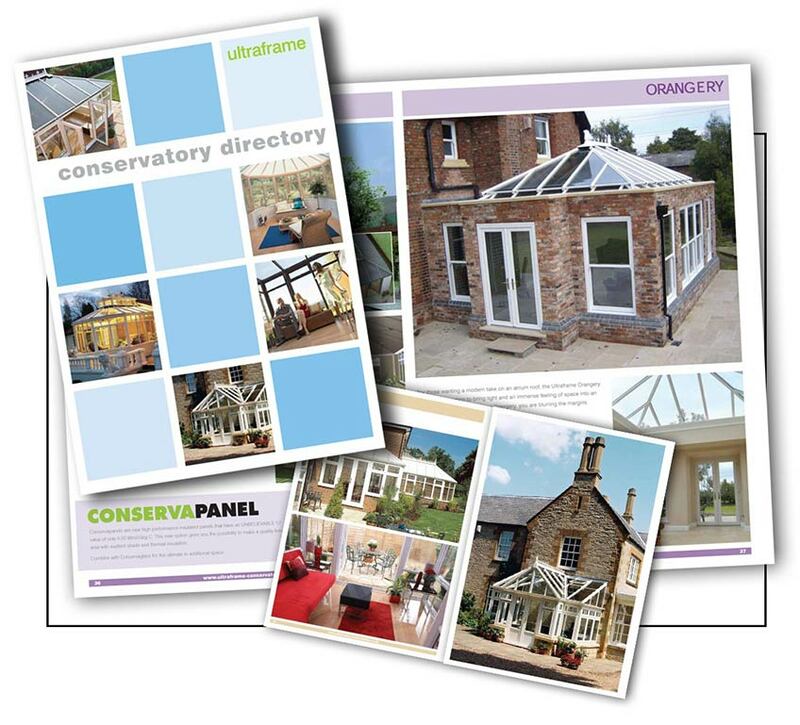 The 44-page brochure is a must for any retail installation company, helping them to guide potential conservatory purchasers through the buying process with the help of stunning imagery and simple, yet detailed messages about the importance of choosing an Ultraframe roof for their conservatory. The Directory covers everything from choosing the right style of conservatory to complement the host property, through to ventilation and other technical considerations. The updated Directory features new imagery and information about 3 recent products from the market leaders in the design and manufacture of conservatory roofing systems – the new Pagoda and Orangery roofs and the innovative Conservapanel glazing material. The brochure is available to be overprinted using a choice of templates or installers can take advantage of the Ultraframe design studio and have their own bespoke cover created. To order copies of the Ultraframe Conservatory Directory or to discuss the overprinting options, contact the marketing department on 01200 452367, email brochures@ultraframe.co.uk or contact your Team Ultraframe fabricator.